The fourth edition covers the latest amendments to the employment law statutes, including the Employment Act and Child Development Co-Savings Act. As with the third edition, the fourth edition of HR Practitioners’ Guide to Employment Laws continues to provide readers, in particular HR practitioners and tertiary students majoring in Human Resource Management, obtain a better understanding of the employment laws in Singapore via an outline of the legislation in simple language. Many real-life scenarios that HR practitioners face in their everyday work are examined, and it is hoped that these will help clarify the rights and obligations of both employers and employees under Singapore law. Although the solutions proposed are by no means exhaustive, they will certainly aid HR managers in their tackling of such situations. 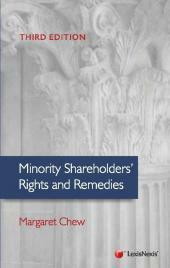 This book will continue to be a valuable resource for those who want to learn more about employment laws in Singapore. 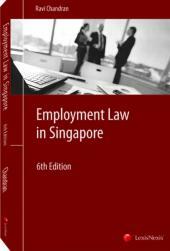 This book is a valuable resource for those who want to learn more about Singapore’s employment laws. Arthur Khong begin his career in Human Resource Management in 1993 when he joined Western Digital as Human Resource Administrator. He worked his way up the ranks to become the Director of Human Resources of the Hotels of Far East Organization, and later on also held the posts of Group Regional Vice President (Human Resources) at Yeo Hiap Seng and General Manager (Human Resources) of Keppel Energy. In the past 21 years he has overseen HR operations in not only Singapore, but also Malaysia, Hong Kong, China, the United Kingdom and the United States of America. In May 2013, Arthur incorporated HR Law Academy, which specializes in training and consultancy on employment laws and industrial relations. He is also currently an adjunct faculty member of the Singapore University of Social Sciences. 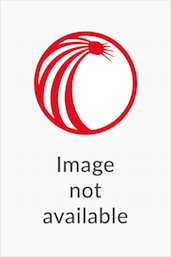 A keen practitioner of Human Resource Management, Arthur is also a council member of the Singapore Human Resource Institute, a non-practitioner member of the Law Society of Singapore and fellow member of the Singapore Institute of Arbitration. Previously, he also sat on the board of the Industrial Relations Panel with the Singapore National Employer Federation as Chairman of Industrial (Other Areas) Group.